You could be forgiven for mistaking the spectacle surrounding Seth Rogen and James Franco’s “The Interview,” a film about an American talk show host who is recruited by the CIA to assassinate North Korean dictator Kim Jong-un, as a convoluted marketing ploy. The real-world story is almost surely a thousand times more interesting than the movie itself, with alleged North Korean cyberterrorists hacking Sony and threatening movie theaters, Sony canceling the film’s Christmas release and President Obama promising to “respond proportionately,” presumably by disrupting some future North Korean film he doesn’t like. 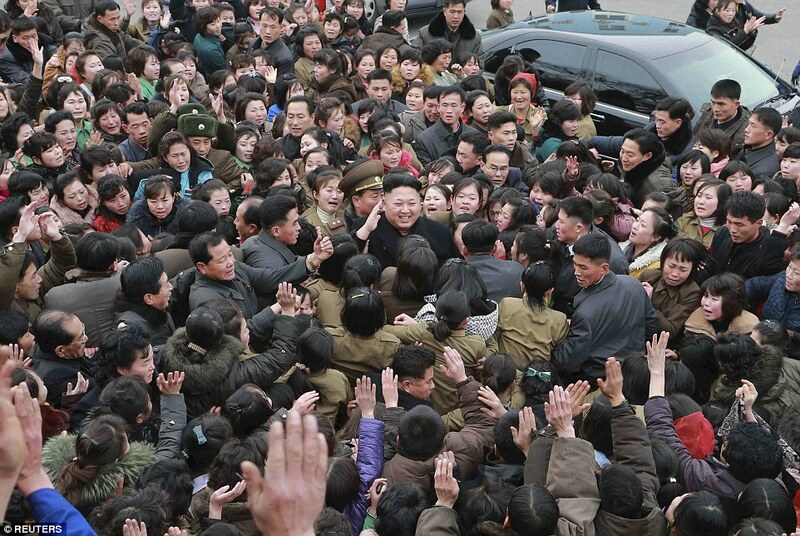 “Supreme Leader” Kim Jong-un, center, is the Justin Bieber of North Korea. Photo by Reuters.